Impress with our collection of Alan Paine clothing, a seriously hardwearing and stylish selection of items that cater for the great outdoors in elegance and sophistication. Home to great rural gear and dapper detailing, this selection of pieces tick all the essential boxes for practicality and style - whether you're out in the field or enjoying a stylish event. Waterproof outerwear that will resist even the worst of storms will keep you warm and dry no matter what, all whilst boasting beautifully crafted fabrics in traditional colours and classic woven designs. Cosy fleeces and chunky knitted sweaters add essential warmth and handsome layers to your outdoor ensembles, so you can go about any activity with a worry. 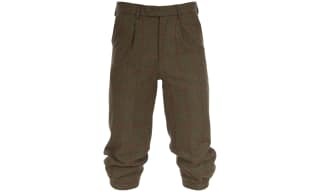 Breeks and trousers bring a seriously suave element to your look, offering function and style at every stitch - beautifully complemented by smart shirts, panelled waistcoats and expert shooting gear. Shop the whole collection to elevate your country style credentials, whether you're beating, walking, at a field event or simply out for a drive. Alan Paine Men’s Waistcoats perfect any shooting outfit – a sporting range almost isn’t complete without a Men’s Alan Paine Waistcoat. 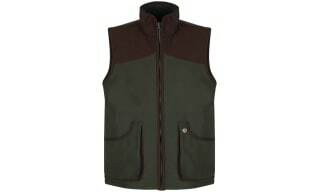 Luckily at Outdoor and Country, we know this, and we understand the rich heritage or Alan Paine’s collection well enough to know that their vests and waistcoats are a must-have layer for the rural gentleman adventuring through the countryside, and most are fully equipped for the sporting life. Alan Paine have been creating exquisite luxury knitwear since 1907. Over 100 years of experience, 48 different processes and 70 pairs of skilled hands combine to create each piece of their hand-crafted knitwear. 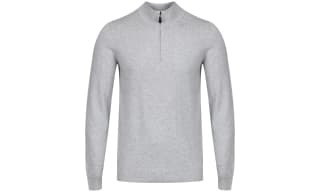 A wardrobe staple, a classic vee neck jumper is the bedrock of many an outfit choice. Crafted from pure Lambswool, Geelong Lambswool or pure Merino Wool, Alan Paine’s machine washable vee neck sweaters are hand-finished and hand-linked at the sleeves. Perfect for layering over your favourite country shirt or popping under your jacket. If you’re after a mid-layer windblock sweater, Alan Paine have two to choose from. Crafted in a wool blend, their Wilshaw and Shenstone sweaters feature a breathable membrane lining to keep you warm and comfortable whilst out and about in the countryside. 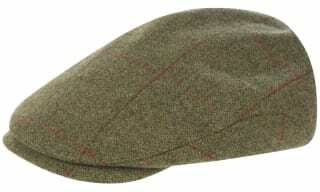 Timeless and effortlessly stylish, tweed is the mainstay of many a country wardrobe. The Alan Paine Combrook tweed range is defined by striking colourways and a luxurious soft handle. 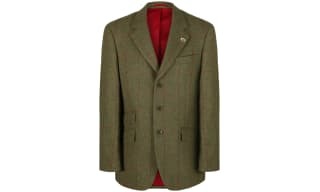 With a handy water repellent outer for added protection, Alan Paine’s traditional pure wool Combrook tweed blazer is classically styled with flap pockets, ticket pocket, a handy internal pocket and double back vent to aid movement. Each blazer features a striking lining designed to match the tweed over-check. Whether you’re looking for a formal tweed blazer to form part of a shooting suit or to wear with chinos or jeans our tweed blazers fit the bill! A wardrobe staple, a traditional tweed blazer will never go out of style. A classic country shirt is the perfect way to complete your country look! Available in a range of plain colours and a variety of check options, Alan Paine has an assortment of men’s and ladies’ shirts to choose from. 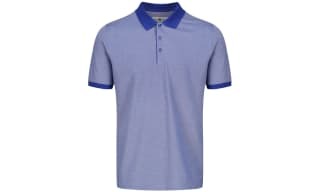 Crafted from a soft, minimal iron and machine washable pure cotton fabric, both the men’s and ladies’ shirts are usefully cut to a longer length for added comfort. The men’s Ilkley option is a specific shooting fit to allow for unhindered movement and layering whilst you enjoy your country pursuits. 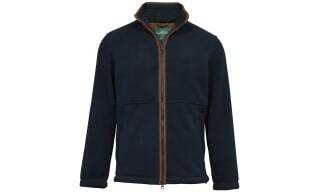 There’s also their fleece-lined Bury shirt which is a great choice for those really chilly days. Team with a gilet and jeans or wear with your favourite tweed, these really will become your go-to shirts. From traditional tweed trousers to waterproof trousers and breeks, Alan Paine has a range of trousers to suit any country pursuit or activity. With a handy water repellent outer for added protection, Alan Paine’s traditional pure wool Combrook tweed trousers are half lined with cotton and feature handy side pockets and button-secure back pockets. Perfect teamed with the Alan Paine Combrook tweed blazer. Don’t let rain spoil your plans. 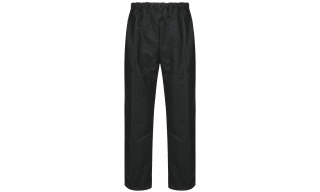 Alan Paine’s waterproof and breathable trousers are ideal for rainy days, designed to keep you dry and comfortable whatever the weather. 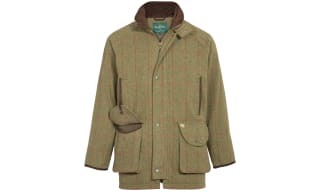 And, if you’re out in the field, why not try a pair of Alan Paine’s breeks in either water repellent pure wool tweed or a waterproof and breathable robust cotton blend? Bring your outfit together with our diverse range of men's Alan Paine hats, and caps - an array of wonderful pieces to enhance your attire. Boasting a true country heritage, Alan Paine have pioneered their craft; constructing signature items that showcase their signature style and knowledge of a superb textile for durability and fashion credentials. With a bountiful selection of must-have pieces, anchor your outfit with a perfect present for yourself or a stylish gentleman that you know. We want to make sure your style is always on point. These Alan Paine country ties will add the perfect finishing touch to your outfit. A firm favourite since the inception of the brand’s country wear collection, the ties are crafted from 100% woven silk with an eye-catching branded satin lining. 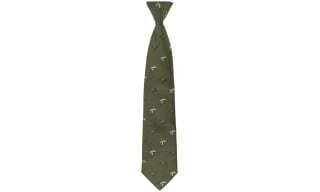 Choose from a range of country designs including a quirky sitting pheasant print to a traditional bird and dog print. All available in a range of super colours from red and purple to gold and olive. 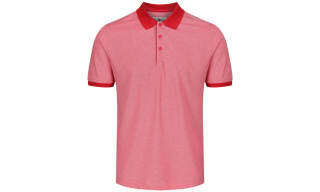 Team with a classic country check or plain shirt to add a pop of colour to your outfit. A functional, cosy pair of gloves is an absolute must when you’re out in the field. There’s nothing worse than cold fingers preventing your enjoyment of country pursuits and activities. 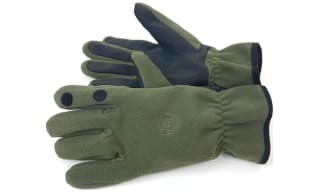 Alan Paine’s classic fit traditional country olive Calshot shooting gloves are crafted in a soft, warm micro-fleece designed to protect your hands in the harshest conditions. The addition of a windproof membrane ensures these cosy gloves will keep you warm and comfortable on a bitterly cold day. Usefully the gloves have an elasticated wrist to keep out any unwelcome breezes and a trigger finger adjust. They feature an embroidered tonal logo and come packaged in a heavy-duty zipped pouch; handy when you’re on a day out in the field. What’s more, they’re machine washable too!